Here at KF, we are crushing on champagne cocktails for the weekend! What is more delightful than bubbles mixed with fabulous ingredients like pomegranate juice and fresh herbs? Is your mouth watering? 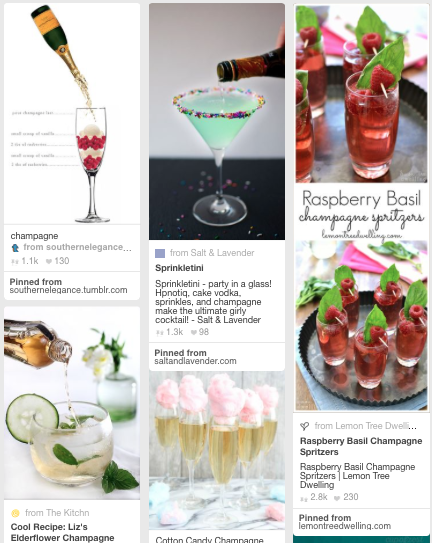 Visit the Pinterest board Kathy created and enjoy delectable and refreshing champs cocktails to delight yourself or guests! Salut! Visit Kathy’s Champagne Cocktails board here.